The Magnum trench box is the largest in the range of Generation trench boxes. It is designed for deep pipe laying activities. 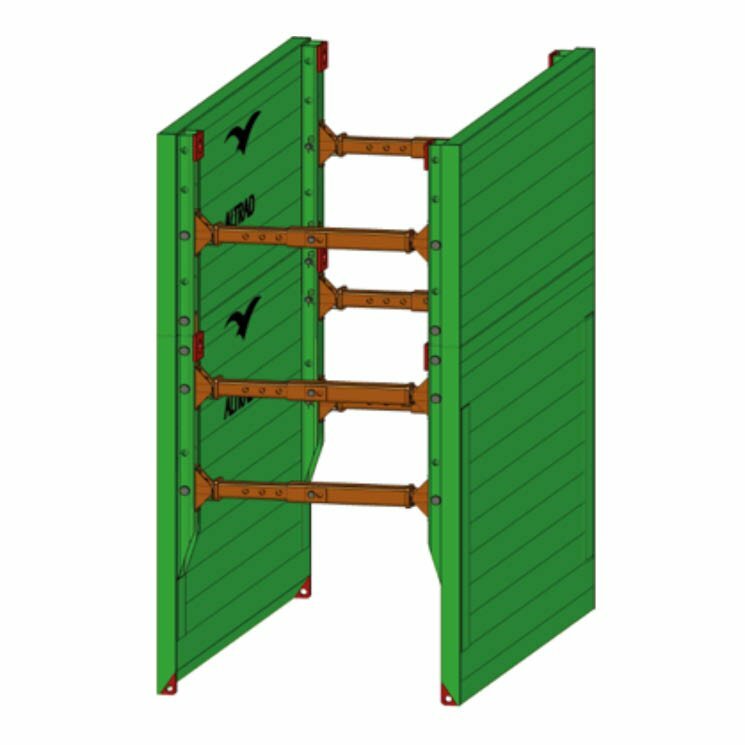 The design is similar to Std & BV100 Trench Boxes but it can achieve greater clearance under struts to allow larger diameter pipes to be installed. It provides clearance of 2460mm under strut through a panel height of 4000mm. Effective down to 6.60m, provided ground pressure does not exceed the Permissible SWL of 36.41 kN/m^2 of this box. ALWAYS enquire about design service if unsure. Manhole Braces are the alternative if it exceeds the SWL and Manhole Braces or Alloy Walers if cross services are an issue on-site.